Established in the year 2007, we Kumar Metal Industries Pvt Ltd (KMIPL) is a globally established detail engineering & manufacturing organization with special expertise in Oil Mill, Solvent Extraction & Edible Oil Refining Plants. Our products range includes Seed Cleaning Machine, Oilseed Cracker Machine, Flaker Machines, Expander Machine, Huller Shaker, Hull & Seed Separator, Double Drum Hull Beater, Hammer Mill, Solvent Extraction Plant, Desolventizing Toaster Plant, Distillation In Solvent Extraction, Oil Mill Machinery(Seed Cleaning), Oil Expeller, Oil-N-Oil Series Expellers, X Press Series Oil Expeller, Palm Kernel Expeller, Vibro Separator, Filter Press, Pressure Leaf Filter, Vertical Steam Boiler, Groundnut Decorticators, Pre Treatment & Bleaching Plant, De Acidification / Deodorisation, Degumming & Neutralization, Bleaching Plant, Water Washing, De Waxing, Deodorizing, Fractionation, Batch Refining and Bucket Elevator. We are an ISO 9001-2008 approved company with CE and ATEX certifications providing complete project management services to oil seed processing, solvent extraction, edible oil refining, fractionation, & related product industries. Our corporate headquarters are located in Mumbai. Further, our equipments have a reputation of being robust in construction, superior in quality, versatile in nature and operationally profitable. Also our vastly experienced personnel provide training to customers' operating staff. Moreover, we are in technical collaboration with world leaders in oil extraction and refining plants, Crown Iron Works Company USA to manufacture Solvent extraction and vegetable oil refining plants of higher capacities ranging from 500 to 6000 Tons per day. Today we have our presence across 25 countries and serve over 500 customers. 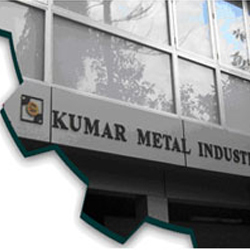 Established in the year 1939, Kumar Metal Industries Pvt Ltd (KMIPL) is a globally established detail engineering & manufacturing organization with special expertise in Oil Mill, Solvent Extraction & Edible Oil Refining plants. Today we have our presence across 25 countries and serve over 500 customers. KMIPL is an ISO 9001-2008 approved company with CE and ATEX certifications providing complete project management services to oil seed processing, solvent extraction, edible oil refining, fractionation, & related product industries. Our corporate headquarters are located in Mumbai. The manufacturing unit 40,000 square feet in size, houses 150 skilled technicians, quality control personnel, dedicated workmen and the latest precision European machinery. Our fabrication facilities are capable to manufacture high pressure vessels and are equipped with certified x-ray qualified welders. For hard facing and critical wear and tear parts our highly trained TIG / MIG welders take over. Crucial to every part of the process, our quality department checks the project at every stage ensuring our clients always get superior quality products. Kumar’s equipments have a reputation of being robust in construction, superior in quality, versatile in nature and operationally profitable. Also our vastly experienced personnel provide training to customers' operating staff. KMIPL is in technical collaboration with world leaders in oil extraction and refining plants, Crown Iron Works Company USA to manufacture Solvent extraction and vegetable oil refining plants of higher capacities ranging from 500 to 6000 Tons per day. Graduate having 37 years of experience in all aspects of management covering manufacturing, marketing, finance, Industrial relations, & overall responsibility for management of the organization. A commerce graduate having 32 years of experience in planning, quality up-gradation of the entire organization, expanding markets, and management of systems. M.B.A., in family business, has 8 years work experience in the factory on various production aspects and customer relationship. BBA in Entrepreneurship and International Business from Temple University, Philadelphia, USA. Has specialized in various fields related to management, business development, and corporate strategy. Worked with Crown Iron Works, USA was in charge of organizations Joint Venture operations in India. Currently handling systems up-gradation, operations, and core team development. B.Sc. In Industrial and systems engineering from the OHIO state university, U.S.A. Specialized in Six Sigma and lean Production Systems. Was working at Rolls Royce Energy systems Inc. as a process Quality Engineer. 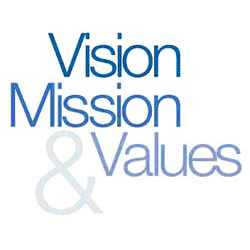 Currently working in process improvement, opportunities and Streamlining Operations. B.E. 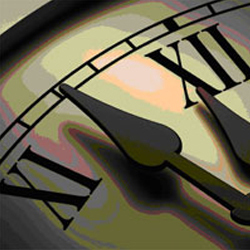 Mechanical having 40 years of experience in all aspects of manufacturing. He has been involved in building screw presses since 1973 and has extensive in-depth knowledge in design of mechanical equipments, fabrication techniques, various codes, procedures for inspection testing and thorough knowledge of systems for latest manufacturing technologies. Mechanical Engineer having 12 years experience in Heavy Fabrication assumes responsibilities as Production Executive for the total organization and controls of production schedules, process planning inventory, entire documentation for all the critical projects, their Quality control and adherence to accepted Test Procedures (ATPs), functional trials etc. Technocrat from UDCT Mumbai having 22 years of experience in manufacturing, Engineering and execution , marketing and sales of various kinds of projects and engineering equipment. He has wide exposure of processing various kinds of seeds and cakes in Solvent extraction plant and various kinds of oil in the Refinery. M. Sc. tech. Oil technologist from UDCT, having 35 years of experience in designing and instrumentation of complete process of Oil Mill, Solvent Extraction Plant and Refinery. To share an extensive knowledge of 30 years in the field of Mechanical Engineering as well as acquired capabilities and potentials in fabrication and stage wise inspection of Pressure vessel, Heat exchanger, column, agitator, pumps, piping, piping accessories, plant, fabrication to its requirement of Welding, NDT, Coating to Nace CIP level 1&2, safety, Metallurgy, Heat treatment, inspection methods and processes relevant to standards & other internationally recognized codes like ASME Sec VIII div I ,II, V, IX, API, NACE, TEMA, BS 5500, DIN.